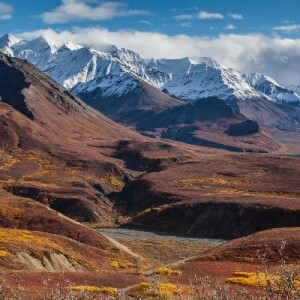 Denali National Park and Preserve is one of Alaska’s premier parks. It is the nation’s third largest park by area, with 4.7 million acres of Alaska wilderness. The park and preserve is centered on Denali, the largest mountain in North America. Formerly known as Mount McKinley, Denali is 20,310 feet at its summit. The park and preserve is perhaps best known for its wild everything. Wildlife. Wilderness. It’s undeveloped and pristine appearance in every direction. Denali became a protected national space in 1917, long before the state around it joined the nation in 1959. The park and preserve, despite its remote location north of Anchorage, attracts more than one half million visitors per year. People travel from all over the world to see nature in its ideal condition. Visitors hike, drive, and ride on tour buses to see the wildlife. Park and preserve managers and rangers tell visitors there are 39 different species of mammals, 169 species of birds, 14 species of fish, and even one species of amphibian found in the park. Visitors seek to observe and photograph the Big Five of the park — the grizzly bears, moose, gray wolves, Dall sheep, and caribou. The park is a wonderland for visitors with cameras, offering incomparable vistas of mountain ranges, snow and ice, lakes and rivers, tall pines, and so much more. Park and preserve visitors love to visit the dog kennels in and near the park to see the Siberian huskies who pull sleds through the wilderness. Visitors also take guided bus tours into the park and preserve, take private airplane aerial tours of the area’s mountains, lakes, and rivers, bicycle the park road, hike trails, and visit the park and preserve’s Visitor Center near the park entrance. Numerous visitors enjoy the Savage River area as well. And ranger-guided tours are also among the most popular park activities. While the park and preserve can be visited year-round, most of the park’s visitors come in summer, when temperatures are favorable and roads passable. If you plan to visit at other times of the year, be prepared for winter conditions. 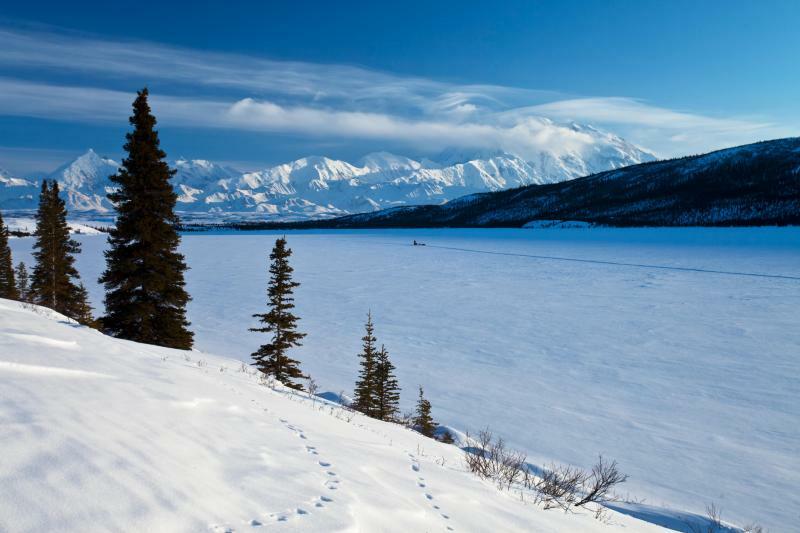 Take a look at our stories and decide what you will do when you visit Denali National Park and Preserve. We hope we can help you decide.